This position is initially based in Waco, TX and you will work regularly with our Go To Team’s Director of Photography, Roger Woodruff, for clients like High Noon, ESPN, NFL Network, CBS Sports, The Golf Channel, ABC, NBC and E!. You will be working as a camera assist, running audio, and lighting while learning every aspect of high-end video production. This position has a heavy travel schedule taking the crew outside of Waco regularly. At the end of the Apprenticeship phase (8-12 months), we’ll move you into a full-time cameraman position, in your own city outside of Waco, and build you to become a Director of Photography for us. If you want to live full-time in Waco then this position is not for you. 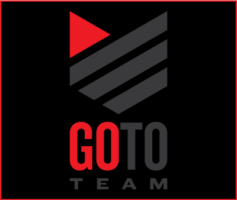 Email a downloadable link to your reel via vimeo or dropbox to TX_Apprentice@gototeam.com . Make sure to attach your cover letter and resume in the email.